Donald Trump elected 45th President of the U.S. Many have prayed and fasted for the USA to defeat the agenda of the spirit of Antichrist that Clinton espoused. Now that it has happened, what does it mean? Donald Trump being elected the 45th President is a stunning repudiation of the last 8 years. Although it’s early to know what Trump policy will look like in every area, it’s safe to say America is now headed in a much different direction. The after-shock of Donald Trump becoming President-elect of the USA is taking effect. Our enemies are nervous, prognosticators are scratching their heads and liberals are threatening to move to Canada. Obama’s Muslim allies that have infiltrated the government aren’t very happy about this election either. Donald Trump’s victory is a “disaster” for our radical Islamic enemies and a set back for the Muslim Brotherhood. Meanwhile, prophecy teachers are on the edge of their seat digesting the prophetic repercussions! What does a Trump presidency mean for Bible prophecy? More than you might think! There will be immediate and long term issues carrying us into the end times. God’s foreign policy concerning Israel is outlined in the Abrahamic Covenant and spelled out in Genesis 12:1-3 where He says, “I will bless those who bless Israel and I will curse those who curse Israel.” For America’s future, the Obama hostility towards Israel needs to end fast. It seems likely that a Trump presidency will not continue the Obama assault on God’s Chosen People. Over the last 4 years, President Obama has done everything possible to smear, snub and defeat the Prime Minister of Israel even trying to (illegally) unseat Benjamin Netanyahu as the democratically elected head of the State of Israel. Netanyahu hails Donald Trump as a ‘true friend of the State of Israel’. 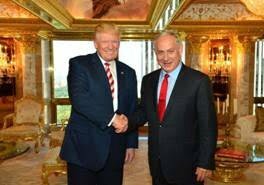 In one of his first phone calls after becoming President-elect, Donald Trump invited Prime Minister Netanyahu to the White House “at the earliest opportunity.” President-elect Trump may become Israel’s best friend! Trump may be bold enough to move America’s embassy to Jerusalem. Although passed by congress, no US President has yet been willing to make the politically incorrect decision to move our Israel embassy from Tel Aviv to Jerusalem. The Jerusalem Embassy Act of 1995, left unsigned by President Bill Clinton, is a public law of the United States passed by the 104th Congress on October 23, 1995. Trump could force the move of our embassy to Jerusalem which would pose a significant setback to the anti-Israel, Two-State Plan. The 2-State Plan suggests dividing Israel, something the prophet Joel warns is a crucial mistake for the nations in the end times (Joel 3:1-2). 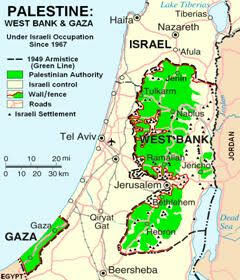 Giving Judea and Samaria (West Bank) to Israel’s radical Islamic enemies the Palestinians will not create peace. Israel learned this the hard way in 2005 when they handed over Gaza to the Palestinians. Within a year, they were launching bombs into Israel. Dividing Jerusalem and giving East Jerusalem to the Palestinians as the capitol of the State of Palestine will bring God’s wrath not peace. Ultimately, prophecy is clear that Antichrist will successfully negotiate the Two-State Plan. Thankfully, we may see a Trump presidency pushing this disaster further down the end-times road. Over the last eight years, it’s now obvious that President Obama made the LGBTQ agenda one of his top priorities. With the Supreme Court up for grabs, a Trump presidency could have the lasting promise of turning back the LGBTQ agenda and put off the further moral erosion of America.